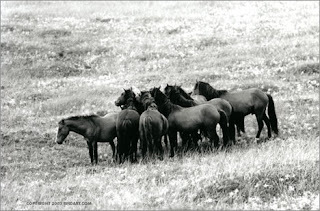 While horses in captivity are what we see and read about most, it's the wild horses we don't hear about very often. On a place called Sable Island, wild horses still roam free. Sable Island is a little known corner of the world that is 30 miles long and less than a mile wide. It's located about 100 miles southeast, very far offshore from Canso, Nova Scotia. The island has been the focus of speculation for about 500 years. Shipwrecks and wild horses are all part of what has given this place the mystery that surrounds it. Extensive scientific research is conducted on the island on an ongoing basis and there have been many documentary films and books on the subject. 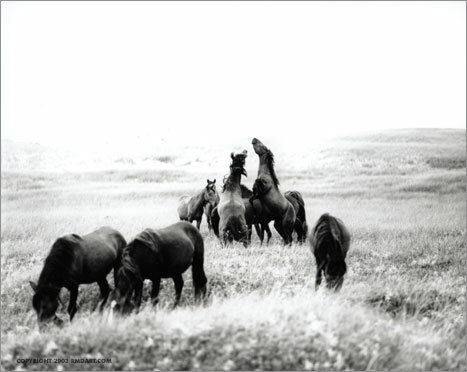 A variety of birds and seals are commonly found on the enclave, but the most famous animals on Sable Island are the wild horses. To this day, there's still a romantic notion that the wild horses that inhabit Sable Island are descended from shipwreck survivors. 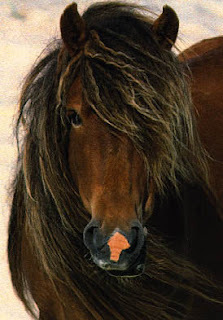 If it were true, it would make the mystery surrounding them all the more fascinating, however, the horses currently living there are descendants of animals brought to the island in the 1700s. There are other wild horse populations in the world some of which include the horses on Assateague and Shackleford islands, which are both off the east coast of the United States. 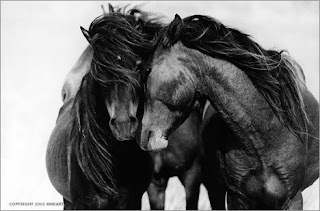 Unfortunately, many of these equines and those living elsewhere, are subject to interference from people, including rounding them up to both tame and ride them. 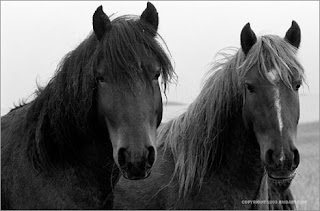 The wild horses living on Sable Island, however, roam freely without any management whatsoever. Since 1961, the Sable Island wild horses have been legally protected by the Sable Island Regulations of the Canada Shipping Act. 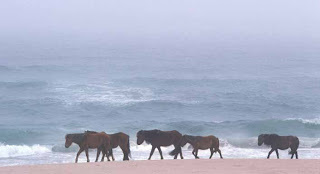 While Sable Island is monitored, there will never be any opportunity to see the horses living there given people aren't permitted on the island. It's unfortunate, but a necessary precaution so as to preserve both the island and these beautiful creatures.